The round brilliant diamond is the most popular diamond cut, making up more than half of all the diamonds sold globally. 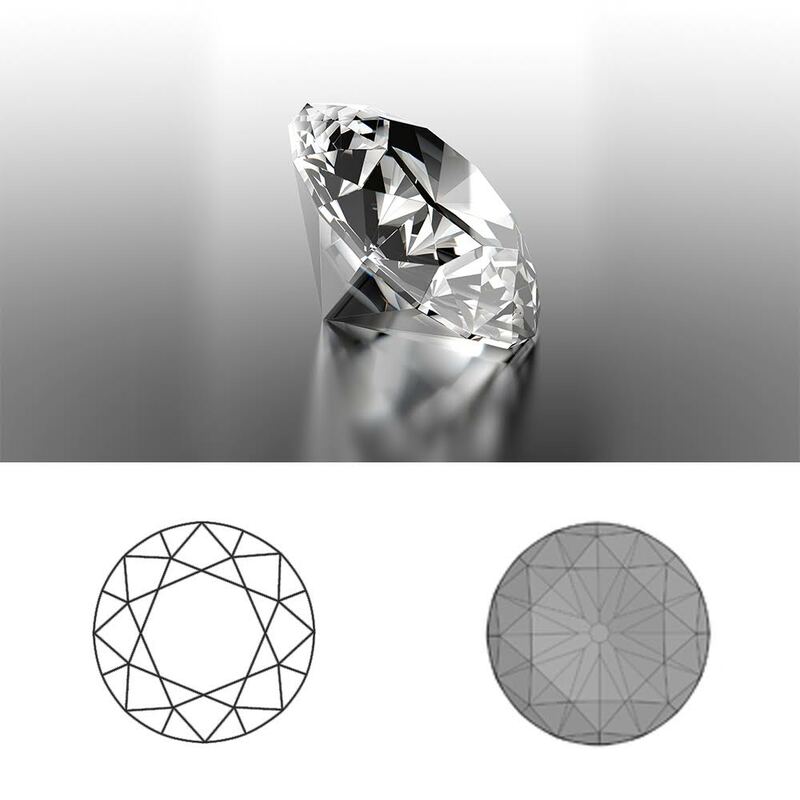 There has, is and will always be a higher demand for the round diamond. The round brilliant diamond has been modified and perfected over time as its popularity began to rise. The modern round brilliant we have today is a work of theoretical and technological advancements of more than six centuries. Point cut diamonds date back to the Middle Ages, they are widely recognised as the first diamond cut. Due to the lack of technology and knowledge, jewellers were not able to cut diamonds. Jewellers instead, preserved the natural shape of a diamond and polished it to a point to create the Point Cut. 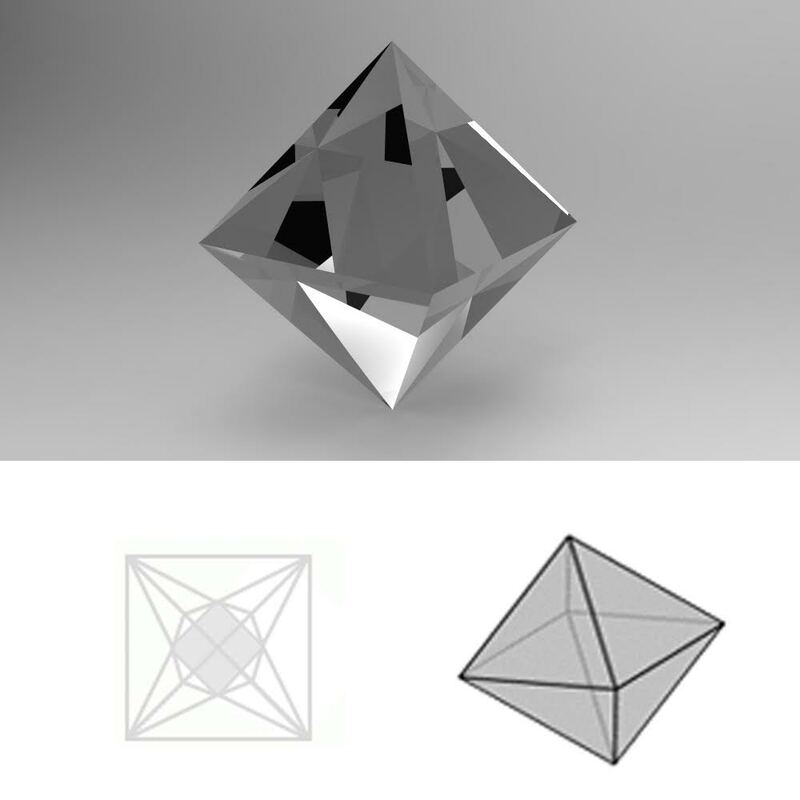 This way, the natural octahedron facets were more symmetrical, hence creating more sparkle from the diamond.It is also important to note that in the Middle Ages, diamonds were seriously considered to have magical powers and cutting them would hinder their power. The old cut diamond is a masterpiece of the 16th Century. There are between 16 to 18 facets in this version of the round brilliant stone, however the facets are smaller. The Old Cut was created to catch the light and make it easier for jewellers to set them and secure in mountings. This was a key development in the area of diamond cutting. The facets actually gave the diamond brilliance, unlike the Point Cut. This is why the Old Cut is often referred to as the Single Cut. This version of the round brilliant paved the way to the modern round brilliant that we know of today. Old cut diamonds are still used in jewellery making to this days, they are now used as side/accent stones. As the industrial revolution progressed, diamond technology improved significantly. This gave the diamond cutters more precision with their cuts, which resulted in the ability to create a thin, girdle – this is known as the bruting process. Soon craftsmen were able to developed the Old European Cut, which defined the jewellery style between the 1890s to 1930s. Till this date, the Old European Cut diamonds are were a stunning choice, especially for antique styled rings like Edwardian, Victorian and Art Deco rings. The beauty of Old European Cut is that they have great character and distinction. Marcel Tolkowsky originally developed the modern round brilliant diamond. The original specifications by Tolkowsky were 53% table, 59.3% depth, 34.50% crown angle, this has been modified and perfected over time. 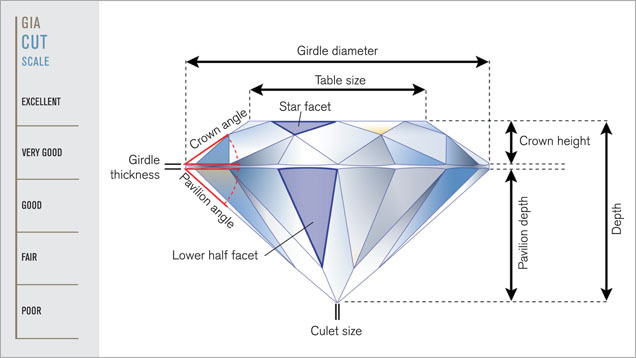 However till date, the diamond industry uses Tolkowsky’s model as a guide of for the “ideal cut”. The round brilliant diamond is by far the most popular and most researched diamond shape available today. Unlike the old European cut, a modern round brilliant is cut to maximise the brilliance of the stone. Jewellers often refer to the modern cut diamond as Full Cut. A round cut diamond is one of the most popular cuts for engagement rings and for good reason, the facets on a modern round brilliant maximise the it's brilliance due to precise geometry. 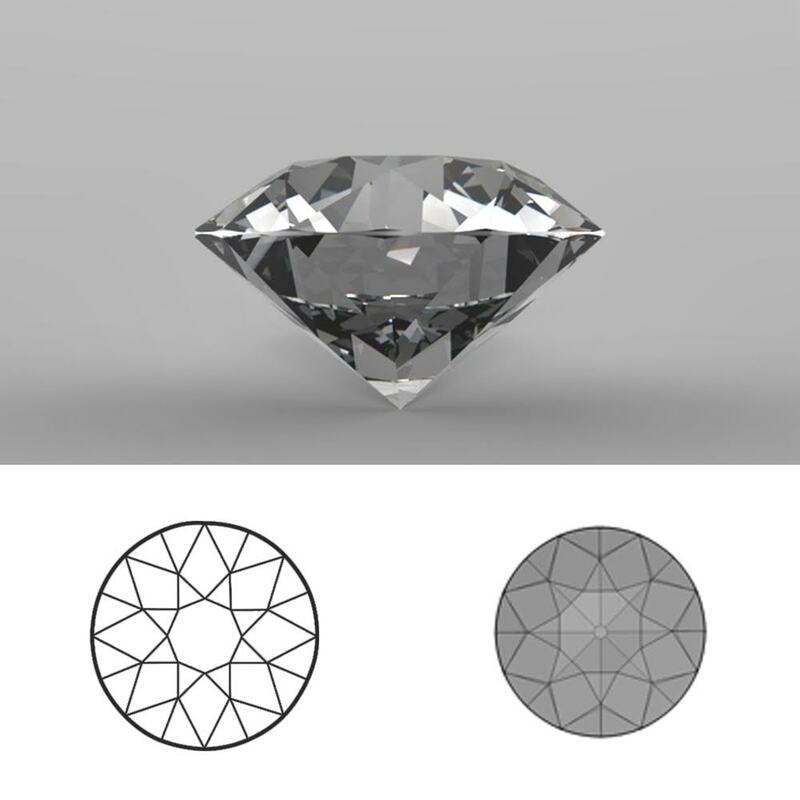 The modern round brilliant diamond, as we know it represents the collective talents of generations of skilled cutters over more than six centuries. The modern round brilliant diamond has 57, 58 facets if we include the culet. A modern round brilliant diamond consists of 1 table facet, 8 bezel facets, 8 star facets, and 16 upper girdle facets for a total of 33. On the pavilion, or bottom part of the diamond, there are 16 lower girdle facets, 8 pavilion main facets and 1 culet. 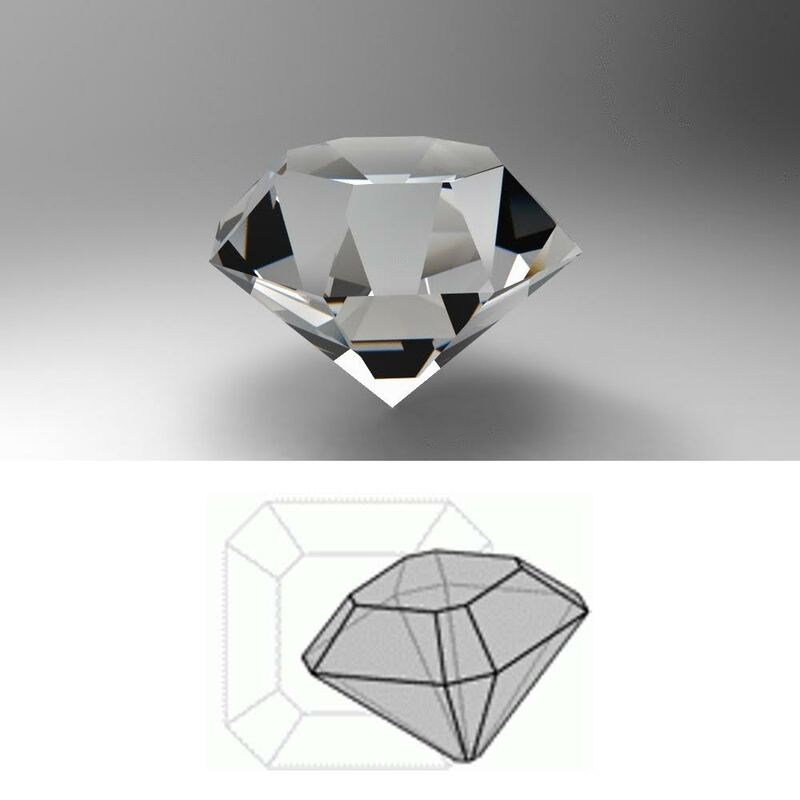 When we think of a diamond, most of us will form an image in our mind, which closely resembles the image above. This cutting design, credit to GIA, has become the ultimate standard and almost all of the rough diamonds that are found these days end up being fashioned in this style. The term 'brilliant' refers to the optimal light return this design produces. When light falls onto the gemstone it enters the stone and undergoes refraction. In order for the observer of a diamond to experience the stone's 'brilliance', light needs to be reflected within the gem so that it leaves the stone in the direction from which it came allowing it to reach the observer's eye. 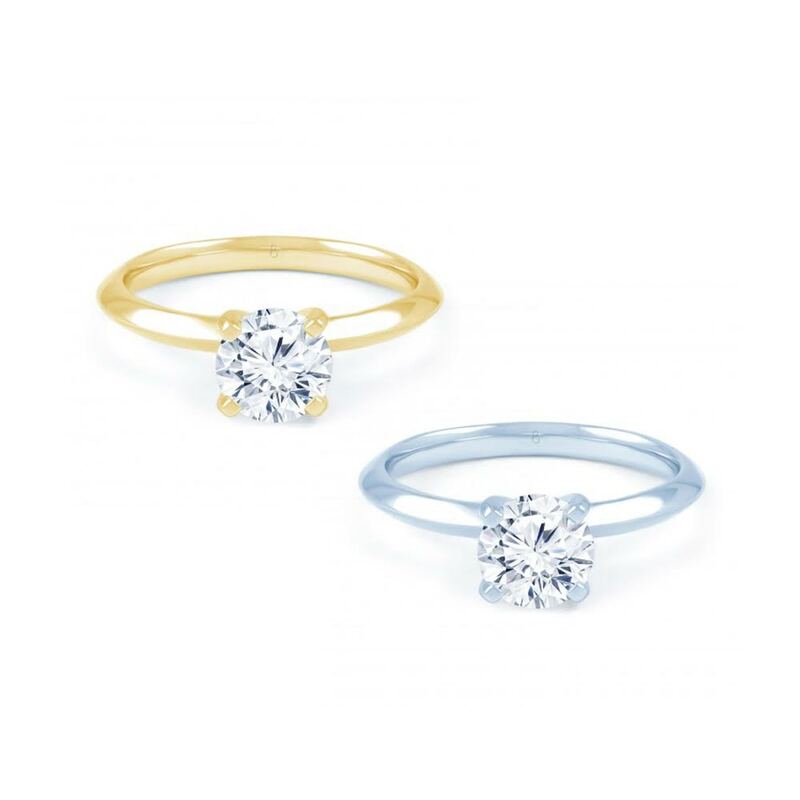 When you think of a diamond engagement ring, we imagine a round brilliant solitaire ring. It is no wonder that round brilliant diamonds account for more than half of the all diamonds sold today. Part of the reason why the round brilliant cut is the most popular amongst the various diamond shapes is because it is the most wearable. Round brilliant diamonds can be used in solitaire earrings and engagement rings . Whatever the jewellery item is, the round brilliant diamond just works. Though they might be more expensive than the other diamond shapes, you simply cannot go wrong with a round brilliant diamond. They are gorgeous, brilliant and full of fire. We’ve come a full circle and are now at the end of todays blog, we hope you enjoyed learning about the history of a round brilliant diamond as much we loved writing about it. If you’re looking for more on diamonds, click here. Ready to buy a diamond ring? Click here. Prefer a pair of diamond earrings? Click here.